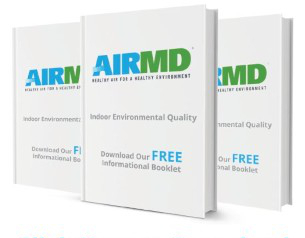 The AirMD network is an environmental testing and consulting group that performs asbestos testing and asbestos inspection services in Virginia Beach, Virginia. Our team includes scientists and consultants who are asbestos inspection experts. Asbestos surveys are required to identify if asbestos containing materials (ACM) exist in a property. The protocol development is a critical component in any asbestos abatement project as it identifies the areas that contain asbestos, documents what areas to remove and documents the health and safety aspects of the project. Understanding local, Virginia and federal regulations is necessary to protect property owners and workers from unnecessary liability. The development and implementation of an asbestos abatement protocol is crucial to the completion of a successful asbestos abatement project. AirMD has completed thousands of asbestos surveys with protocol development on properties including residential, large commercial buildings, governmental, healthcare and municipal buildings. To learn more about Protocol Development click here. To book Asbestos Testing and Inspection for your Virginia Beach home or business, Click Here. You can also call us at 1-888-462-4763 or 1-888-GO-AIRMD.